Recommended VPN: Get the best VPN for BBC iPlayer, NordVPN. If you’re looking to watch BBC iPlayer securely from anywhere then a VPN is an essential app to do so. However, as you’re probably already aware many VPN services don’t work with BBC iPlayer. When you connect you simply get told you’re not in the UK, even if you connect to one of their UK based VPN servers. Finding a VPN working with BBC iPlayer can be time-consuming and costly. Many don’t state if they work with the service and there’s a lot of outdated and untested information out there. What worked last year doesn’t necessarily work this year. Our favourite VPN for BBC iPlayer this year is NordVPN, they’re easy to use and they work without any messing around. We’ve been testing a whole host of the most popular VPN services to find out which others work best with BBC iPlayer in 2019. How to choose a VPN for BBC iPlayer? Choosing a VPN for BBC iPlayer isn’t all that difficult. Apart from finding one that actually works with BBC iPlayer which is the hardest part, there aren’t a lot of extra requirements. Works with BBC iPlayer: The most obviously but definitely one to remember. Not all VPN services work with BBC iPlayer. In fact, more don’t work than do. Remember not to assume that any VPN service will work. Fast speeds: The quality of video on BBC iPlayer has improved dramatically in recent years. They even stream some big events in 4k. Ensuring the VPN service offers fast speeds will allow you to watch in all its glory without buffering or other stuttering issues. Range of apps: Different VPN services offer apps for different devices. Ensure that the service you sign up has a dedicated app for the device you want to watch on. Money back guarantee: It’s important to choose a VPN service that offers a lengthy month back guarantee. 30 days is a common length. It covers you should something go wrong or if you simply can’t get the VPN service to work. Remembering the above features will ensure you get the best VPN service for watching BBC iPlayer. Let’s now take a look at the Top 5 VPN services for BBC iPlayer this year. Don’t forget, we’ve tried and tested all of these so it doesn’t matter too much which you end up signing up for as they all work. NordVPN is one of the most well-known VPN services around and they’re the best for watching BBC iPlayer too. Connect simply to their ‘United Kingdom’ server and you can watch BBC iPlayer from anywhere without restrictions. In our recent NordVPN review we found their service impacts very little on speeds even from large distances so there’s no trouble streaming high-quality content on BBC iPlayer. Even 4k content for big sporting events works well. There’s a huge range of apps available allowing you to watch on desktop, laptop, tablet and mobile running Windows, Mac OS, Android or Apple iOS. They’ve also got an Amazon Fire TV app so you can watch BBC iPlayer via Silk Browser or Firefox on your Fire TV device too. There’s a 30-day money back guarantee available giving you loads of time to test the service. ExpressVPN is another service that works well with BBC iPlayer. There’s no need to select any specific server as all will work, you can simply connect to their ‘United Kingdom’ server. Like NordVPN, the servers ExpressVPN offer are fast. We tested them in our 2019 ExpressVPN review and found little speed loss compared to our regular connection. This means you’ll be able to stream in the highest quality without any issues. They recently updated their range of apps which connect quicker and on some devices have the option to quick-launch the BBC iPlayer app or a web-browser to access iPlayer. It’s a really neat feature and is especially useful on large screens like TVs when using the Amazon Fire TV Stick for example. Apps are available for all Windows, Mac OS, Android, Apple iOS and Amazon devices. There’s also a Linux app and apps for some routers so no matter what device you’ve got you should be covered. There’s a 30-day money back guarantee so you can test the service without risk. CyberGhost VPN is the best option if you’re new to VPN use and want simplicity. They work well with BBC iPlayer and have the added bonus that their apps will even tell you what server to connect to for watching BBC iPlayer. Their apps are well designed and available for all the most popular devices running Windows and Mac OS plus mobile devices running Android or Apple iOS. They’ve also got one of the best designed Amazon Fire TV apps we’ve seen so you can watch BBC iPlayer securely on your big screen. Just select their ‘For Streaming’ or ‘Streaming Friendly’ option and then select the UK flag that has ‘BBC iPlayer’ beneath it. On some devices, the app will even open the BBC iPlayer website for you once connected. We really like the fact they’ve got a 45-day money back guarantee which is much longer than the competition and gives you over a month and a half to watch BBC iPlayer to test it working without risk. VyprVPN makes a great choice as a VPN service for watching BBC iPlayer and they work extremely well. 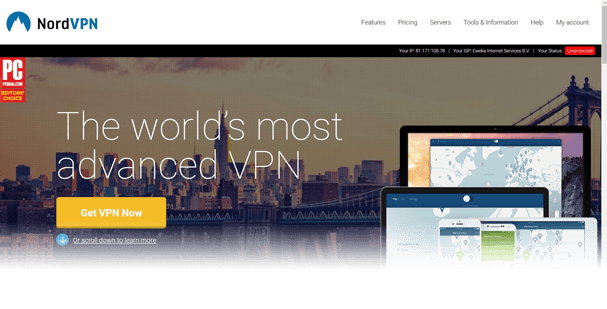 It’s one of the more reliable VPN services we’ve tested. With very little speed loss when connected to their service you’ll have no trouble watching in high quality regardless of where you are. Their apps are some of the best we’ve seen and are really easy to navigate. It’s quick to connect to the UK to watch BBC iPlayer with little fuss and no complicated set-up. Apps are available for most major devices including those running Windows, Mac OS, Android and Apple iOS. Unfortunately, there’s no dedicated Amazon app which is a negative as it makes watching BBC iPlayer on your TV much more difficult. If you’ve got an Amazon Fire TV or Fire TV Stick for example then you’re better of sticking with one of the services above. VyprVPN doesn’t offer a money back guarantee but there is a completely free 3-day trial. Pop in your payment details to test it. If you can’t get it working just cancel before the 3 days expire and you won’t need to pay anything. VPN.ac is the choice for BBC iPlayer if you know a little bit more about what you’re doing and consider yourself a ‘techie’. While they’re no harder to use than any of the other services and they work extremely well with BBC iPlayer they do have some advanced features that will let you use their service for a range of other purposes. They also have a good range of apps supporting all major devices which include Windows and Mac OS, Android and Apple iOS and they even have a dedicated Amazon app for the Fire TV devices. Prices of the service are a little on the expensive side when taking a 1-month package so it’s well worth looking at their longer subscription periods as yearly packages are much more cost effective. There’s a slim 7-day money back guarantee available on the service. While it’s not as long as many of the other services it should give you enough time to test it to see it working with BBC iPlayer and for whatever other uses you need it for. Which VPN is best for BBC iPlayer? Choosing the ‘Best’ VPN for BBC iPlayer isn’t the same as choosing the best VPN for Torrenting or the best VPN for Kodi for example. Aside from actually working with BBC iPlayer and being fast, there aren’t too many individual considerations. However, if you’re finding it difficult to choose from the 5 providers above there are a few specifics which will help you choose and below we’ve listed them. If you want the best overall VPN for BBC iPlayer, get NordVPN. With a huge range of easy-to-use apps and a service that works well with BBC iPlayer, there is little reason not to sign up. If you want the longest money back guarantee, get CyberGhost VPN. With a huge 45-day money back guarantee it’s longer than nearly any other service. If you want to watch on your TV, get NordVPN or ExpressVPN. With dedicated VPN apps for the Amazon Fire TV devices you can stream BBC iPlayer on your TV securely. If you want the easiest to use VPN, get CyberGhost VPN. With helpful hints telling you where to connect specifically to watch BBC iPlayer, it’s impossible to go wrong. Do you really need a VPN for BBC iPlayer? BBC iPlayer can be accessed from within the UK without a VPN. However, it’s good practice for your online security and data privacy to be using a VPN at all times. With BBC iPlayer blocking many VPN services that’s why it’s essential to choose one of the five recommended above. Not only have we tested these to confirm they work with BBC iPlayer but they’ll also allow you to continue protecting your privacy while streaming. Is using a VPN with BBC iPlayer legal? Using VPN apps is completely legal. They’re a legitimate way to protect your online privacy. There are no specific laws that say you can or can not use a VPN with the BBC iPlayer. You of course need a valid TV licence if you watch the BBC iPlayer service regardless if you’re using a VPN or not. Of course, that’s really outside the scope of this guide but it’s worth remembering anyway. Using a VPN is not an excuse to break the law or access services you’re not legally allowed to. If you’re looking for a VPN that works with BBC iPlayer in 2019 then it’s important to consult up to date guides like this one. The situation can change regularly and services that worked with last year or prior to that may no longer work this year. We recommend NordVPN. They combine the ability to work with BBC iPlayer with some great easy-to-use apps and an all round good service. You can use their service across a wide range of devices including your computer, laptop, tablet, phone or even the Amazon Fire TV devices if you wish to watch on your TV. If you’ve got time then it’s worth checking out the other 4 services too. Don’t worry too much because they all work with BBC iPlayer so you really can’t go wrong no matter which you end up choosing.